In the past Glue’s Camera Settings window generated code which could not be modified at runtime. These settings made it very easy to set up a game as desired with no code, but the code never allowed modifications to be made after the game started, at least until now. 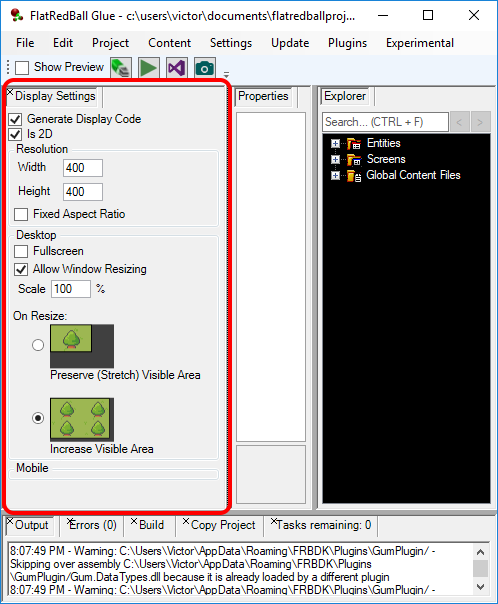 The latest version of Glue generates code which allows custom code to modify the game’s resolution using the same variables as in the Display Settings (shown above).